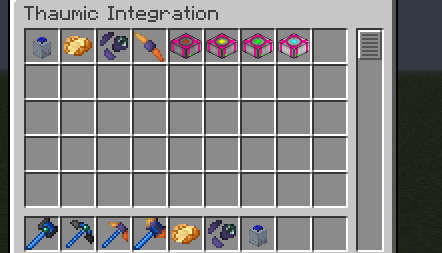 [1.6.4 Forge] Thaumic Integration! 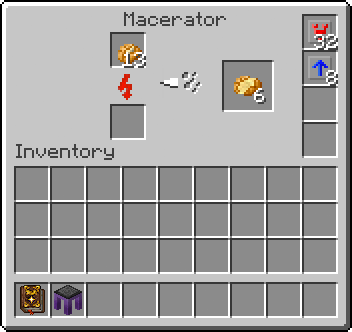 Get your ME Essentia and Thaumic TiCon Tool Modifiers! Ladies and gentlemen! For my first trick... I present you, Thaumic Integration! De magnis terror! A collaboration mod by Alexbegt, Glassmaker, and me! 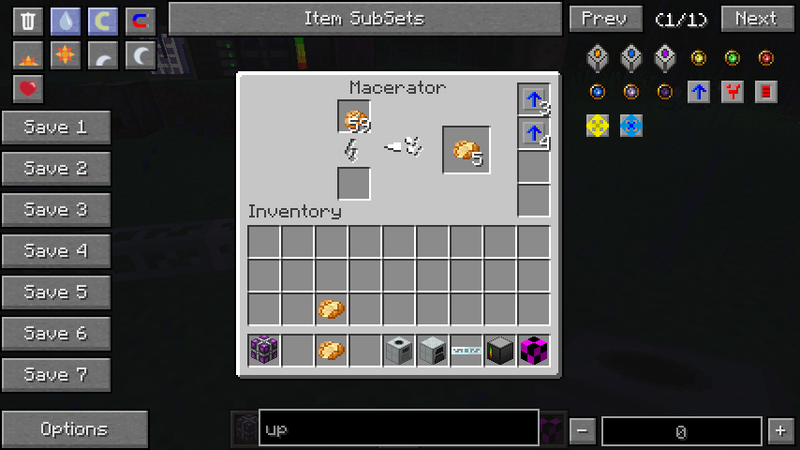 This mod aims at adding cross-mod interactions between Thaumcraft and several other mods, such as Applied Enegistics, Tinker's Construct, Thermal Expansion, and Industrial-Craft 2 -"Experimental"-. Did I also mention Mashed Potatoes? Another tab, with the sexiest backyard, evar! Some new toys for your AE system! 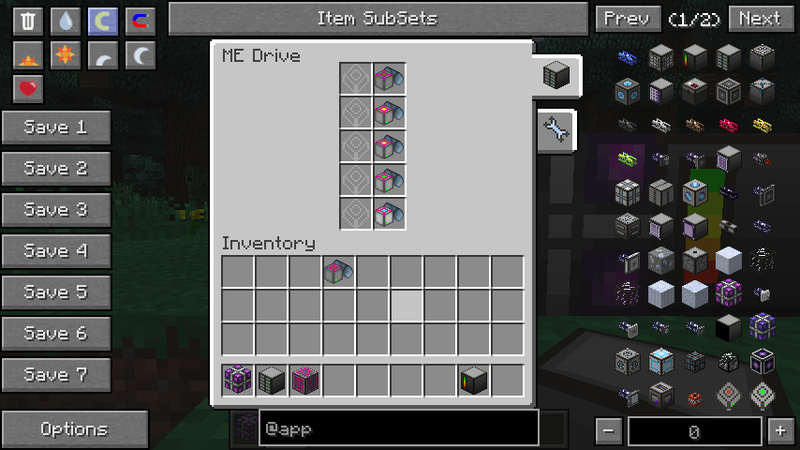 A third AE medium to store stuff on! That mess of Warded Jars is... Ajjaring! No more! Infuse with essential STRAIGHT from your AE! Mashed Potatoes...? Shut up and take my Money! Not just available from your nearest Macerator! Want some early-game Mashed Potatoes? Now you can! We have an IRC channel! Come join us on #thaumicintegration at irc.esper.net! The third medium for AE systems! We had Blocks and Items, then Liquids... Now we have ESSENTIA! ME Essentia Drives. 16 Essentia Types each. Your usual Import/Export Busses, now in Essentia Variants! ME Essentia Storage Busses too, just for Jars. 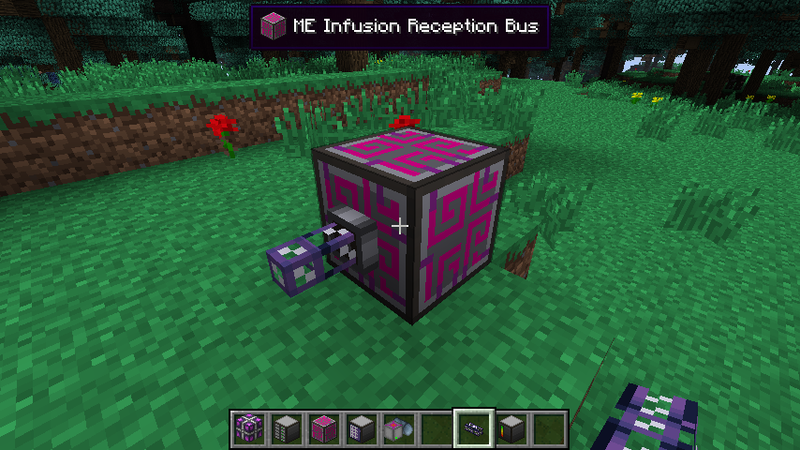 ME Infusion Reception Bus! 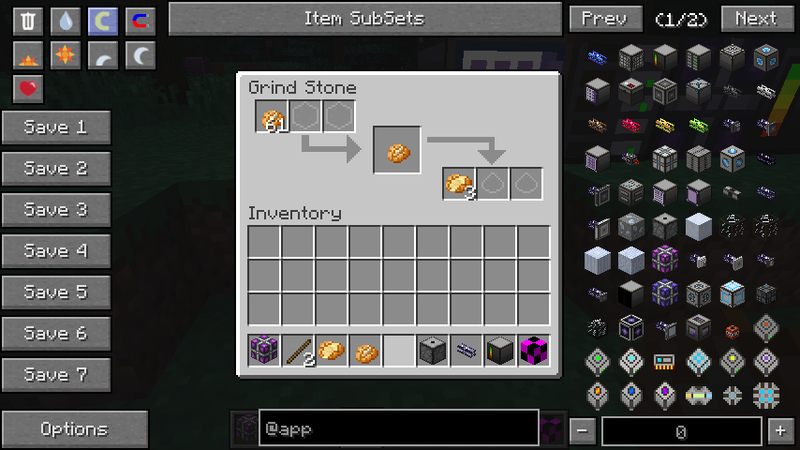 Infusion Altars will take necessary essentia required for the infusion process. ME Transascension Vacuum Bus, for those who rather farm aura nodes to depletion! MASHED POTATOES! SHUT UP AND TAKE MY MONEY. A Thaumic generator/dynamo that runs off of Essentia. Certain essentia will be more effective than others. A resonator that will clear taint in a much bigger radius than a Ethereal Bloom. Just because no one has a crapton of shimmerleaf. A Node amplifier that uses power to rejuvenate a node. Want moar? I'm on twitter! Some people on the IRC got the wrong notation that we were turning essentia into liquid. We're not doing that. That's cheap and Essentia shouldn't go into cheap mundane pipes that weren't designed to channel magical slush. We will try to at least push out the AE Essentia for 1.6 as it's probably the most essentia-l (pun lol) feature of T^I. We don't need to add any worldgen! Unless you banned potatoes from your world. Not just a macerator recipe! 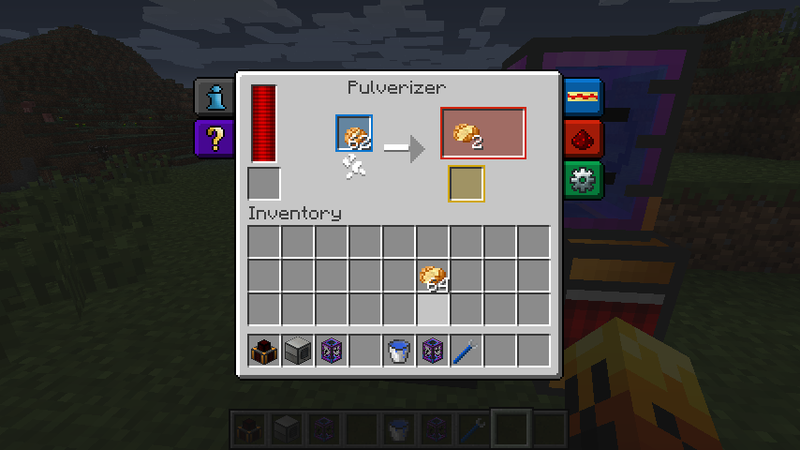 It'll be in the pulverizer too! I have but one (well, two) request. 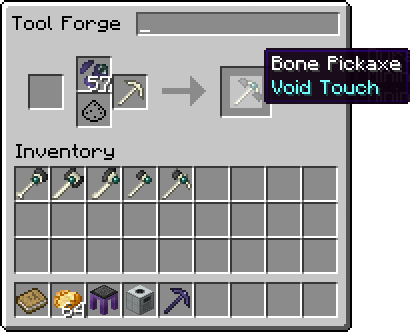 A means to bring Pickaxe of the Core functionality to TiC tools by means of a modifier, and therefore native ore clusters for aluminium, cobalt and ardite. Just added the feature list. Added to the feature list! I can't believe you passed up the chance of calling them "Creepers"! The Warded Blocks are already in Thaumcraft Extras. Ah. I didn't see any mention of Warded blocks in your thread, so I had no idea. I might as well add them anyway, since what we have has some additional functions and such. Sorry about that. Yeah but alot of people dislike your mod so it's great that another mod will have it. Oh and with what you have said so far I'm very excited for this mod. looking and sounding like its gonna be a promising mod, can't wait to see some more work and the eventual release of it. Back and forth would be good, so power from thaumcraft and power to thaumcraft. Personaly I just need to be able to run alchemical furnaces off steam power to complete some of my more elaborate engines of unecessary thaumatology! Also power stations running off jars of potentia might also be fun. The Jar Generator seems like a better idea than the Thaumostatical Generator/Dynamo. It can run off of multiple aspects, but Arbor, Ignis, and Potentia seem to have the best effects? Using a machine to energize an node is also an interesting idea. The best design of the machine is to have a block (or a model, I can do that) and have it detect warded jars underneath (or any essentia container, in this case). I'm also thinking of including 3 or 4 different filters: Low-yield Filter, Medium-yield Filter, High-yield filter, and Extreme-yield filter. Each of these corresponds to their IC2 teir (or the RF equivalent), but also the flux output increases as well as a result. It'll need direct access to the sky as it spews flux residue. Or I can create a tank inside that is a buffer for Taint goo. If the machine cannot store anymore goo, it'll explode creating taint and releasing a mess. As for getting rid of Taint goo, I am thinking about a second generator that consumes Ignis and Taint Goo to make strictly Redstone Flux. I'll have to add Taint Goo to the liquid dict, if it's not there yet. Wait, AE based essential storage? A way to transport essential easily through tubes!?! (yeah, this has been done, but it has to be done again). Looks great, looking forward to a release here. 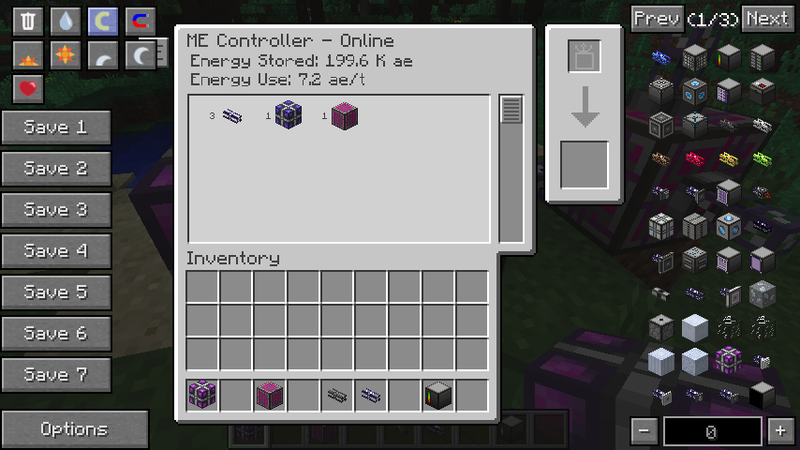 I don't do TC but some players on my server do, an AE integration is much anticipated by them.